An increasingly global economy requires professionals who understand how business operates both within and beyond U.S. borders. 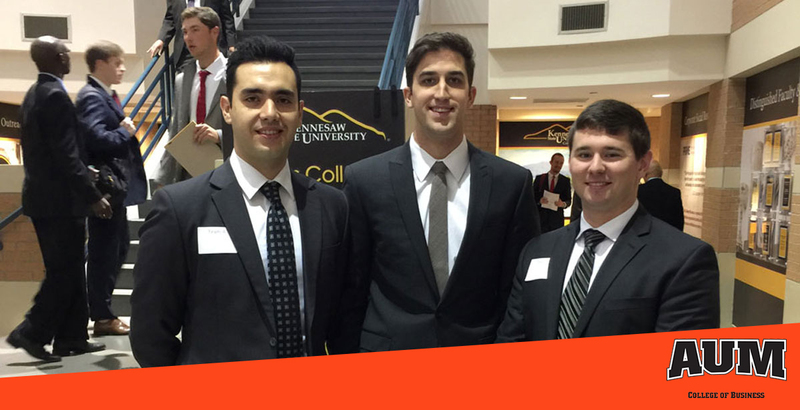 At AUM, you’ll learn to analyze complex business issues in multinational markets and to understand the cultural differences that affect business relationships in the global marketplace. You’ll be prepared to work for American companies abroad or foreign companies with U.S. branches. This program is a multi-disciplinary degree. The International Business program within the Bachelor of Science in Business Administration combines training in economics, management and other business skills with language skills and an appreciation for cultural differences that affect business relations in the global marketplace. A degree in International Business will let you choose from a variety of jobs with higher-than-average salaries. Job growth for all management occupations is projected to be about average, growing 6 percent from 2014 to 2024. The most recent median annual wage for management occupations was $97,230 — the highest of all occupational groups. An interdisciplinary course that focuses on cultural differences that influence attitudes, assumptions and behavior, especially as they affect intercultural communications. (Same as COMM 3000). Prerequisite ENGL 1020. Analysis of theories and practices of international finance. Emphasis is on international monetary system, foreign exchange markets, foreign risk exposure, international banking, foreign trade financing and managing of multinationals. Duplicate credit not allowed for FINA 4750 and FINA 6750. Prerequisite FINA 3610 ECON 3050.